We are very grateful that we had so many amazing speakers this year. The JAMS have become more popular and much more diversified, which is mainly thanks to so many people volunteering to give presentations. 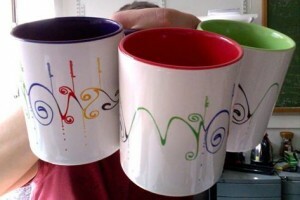 All JAMS speakers from this academic year will receive a special SIAM mug. The committee officially thanked our speakers at the special JAMS on Friday 22 April to honour their contribution to the SIAM chapter at Imperial. The colourful design has been created by our very own artist Adam Gosztolai. If you haven’t received your mug yet, you can pick it up from Adam in 6M28, or from Anderson’s office any time before the end of the academic year. The JAMS on Friday 22 April was a success with many new faces turning up to the talk by Sergio Perez. 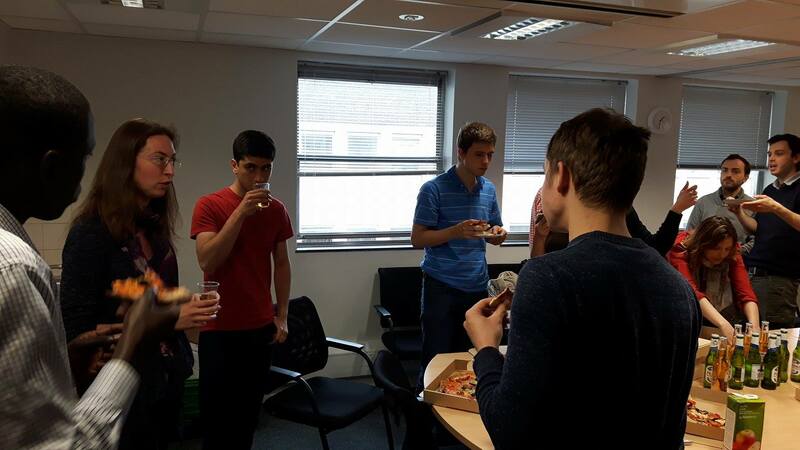 Many interesting discussions were had over post-seminar lunchtime pizza and drinks. Previous Previous post: JAMS are back on 22 April!! !